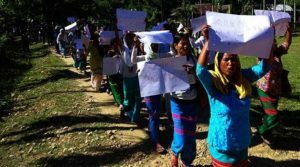 Five villages under Kangku circle boycotted the polling with their ‘No Road, No Vote’ campaign as the Likabali Assembly constituency went to by-election on Thursday. The polling booths were identified as Kangku secondary school, Balisori, Ngopi, Upper Borajan, and Kamcham. The total number of eligible voters at these five polling booths stands at 1260, out of which the Kangku polling station has 428 voters, the highest among the five. 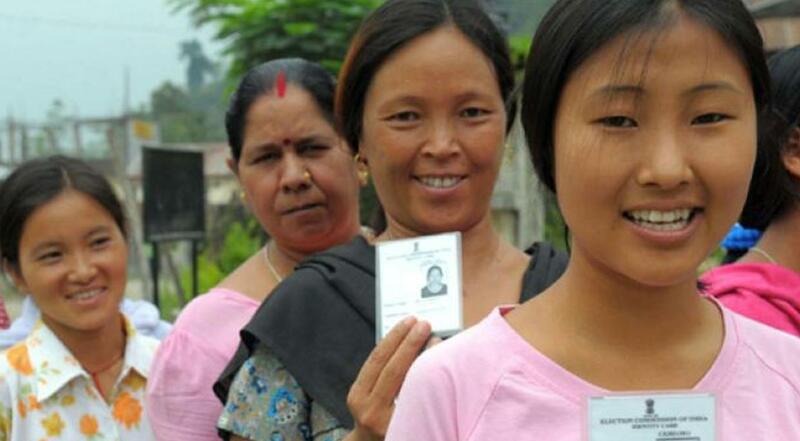 Out of the nine polling stations in the circle, polling was held at four polling stations – Durpai, Torajan, Sogum Mingmang, and Richerite, which has only 24 voters on the electoral roll. Since morning no voter turned up, though they were gathering nearby shouting slogan, ‘Road jima rem, vote jima re (No road, no vote). The protestors, under the aegis of the No Road, No Vote Committee, peacefully gathered near the polling booths with black flags and banners. The protestors also prohibited any political party or leader from entering the polling areas. Kangku circle is about 40 kilometres away, via Assam, from Likabali, the temporary headquarters of Lower Siang district. The distance would reduce to 27 kilometres if the proposed road is built through the foothills of Arunachal. A district electoral office source informed that the electronic voting machine (EVM) at the Siberite primary school was allegedly damaged by voters, and that the EVM at the Dibe polling station malfunctioned. Re-polling at these polling stations will take place on Saturday. Meanwhile, the Election Commission (EC) has said that the by-polls to the Pakke-Kessang and the Likabali Assembly constituencies were by and large peaceful. The EC said that Pakke-Kessang recorded an 86% turnout while Likabali constituency recorded 51 per cent. In Pakke-Kessang, it is a straight contest between former deputy Chief Minister Kameng Dolo, who is contesting on a Congress ticket, and BJP nominee BR Waghe, while the Likabali constituency is witnessing a multi-cornered contest with four candidates in the fray. They are Kardo Nyigyor (BJP), Modam Dini (Congress), Gumke Riba of the Peoples Party of Arunachal, and Independent candidate Sengo Taipodia. The Likabali seat had fallen vacant after the state Health and Family Welfare Minister Jomde Kena passed away on 4 September this year. The Pakke-Kessang seat fell vacant after the Gauhati High Court declared null and void the election of Dolo in the 2014 polls following an election petition filed against him by BJP nominee and former minister Atum Welly.